fan art ***. . Wallpaper and background images in the Avatar - La leggenda di Aang club tagged: bobos toph aang zuko. 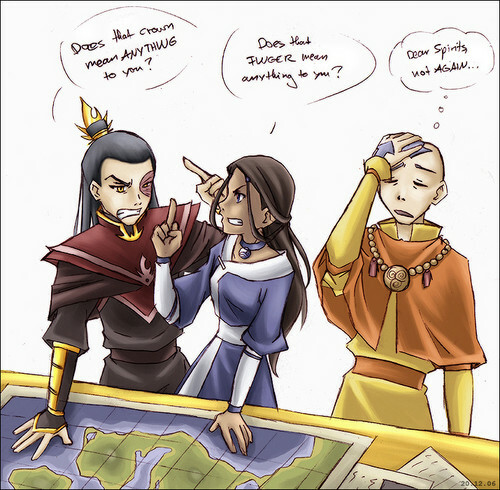 "dear spirits, not again" LOL!